In this tutorial, we are going to see how to install Java 11 on Ubuntu 18.04. This installation also applied to install Java on Ubuntu 14.04,16.04,18.04,18.10 versions as well via PPA. Step 1: Download the Java package from Oracle Web server and install in your local machine. Step 3: Run the below command to install the script to start downloading and installing Oracle Java 11 on Ubuntu 18.04. It will prompt you to get confirmation from you to continue the process [Y/n] type Y and hit enter. 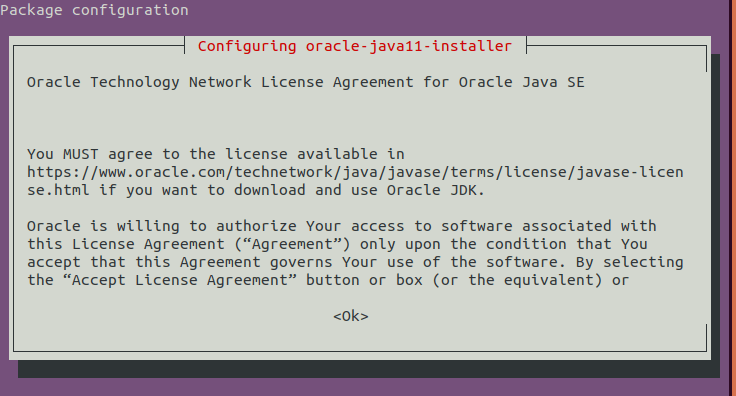 Step 4: After you must accept the oracle-java11-installer license. Press Tab to highlight the Ok button and hit enter. Step 5: After this, you must also accept the Oracle technology network license agreement. Step 6: Now you can see the installation progress. 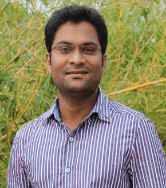 Finally, you must see the following log statements saying Done. Step 7: Check the Java version.